"Functioning as the ultimate cold weather midlayer or a standalone in frigid, dry conditions, the Cerium SV is the warmest option in the Cerium series. 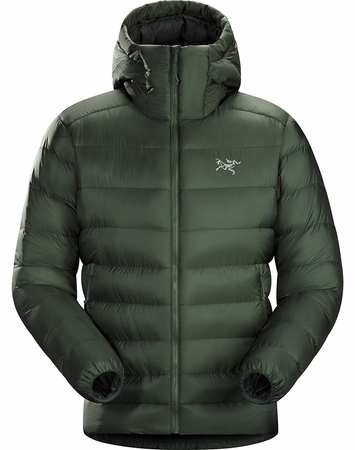 Differential fill leverages varying volumes of 850-fill goose down to increase thermal efficiency, and a pleated baffle structure helps eliminate cold spots while directing loft towards the body. The down insulated StormHood features mitten-friendly Cohaesive adjusters, and Coreloft synthetic insulation is used in areas prone to moisture. �Two down-lined zippered hand pockets"